The Bible reveals that God gives grace and we are saved by grace, but does grace do away with our need to obey God? Does God expect anything in return? Is grace opposed to God’s holy laws? Is there a conflict between God’s law and God’s grace? Many believe that it is a matter of law vs. grace, but what does the Bible say? The word grace comes from the Greek word charis, from which the word charity is derived. Its meaning includes unmerited favor and the gift of graciousness from God to those who have sincerely repented of breaking His holy laws. In other words, because of man’s helplessness, Christ’s death opened the way for God to extend grace to all who would sincerely repent and stop sinning and begin to live according to God’s righteous ways. Read more about grace in the related articles. 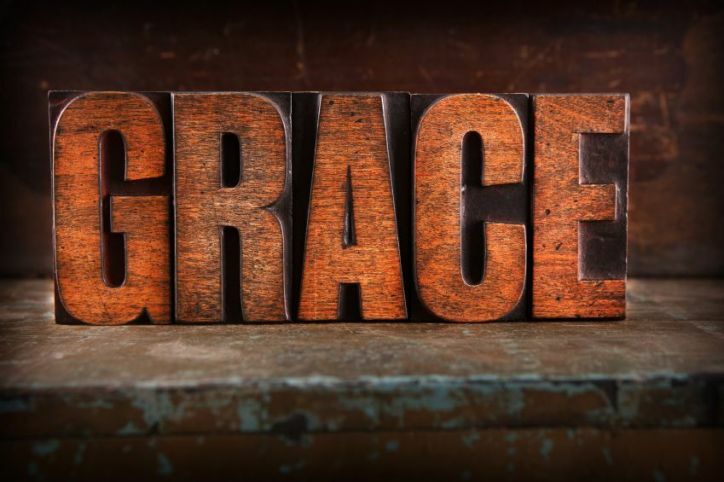 Millions of professing Christians have undoubtedly heard about grace, but how many understand the significance and importance of what grace means? God’s gift of grace is so valuable that it is vital we never lose it, yet the Bible shows that it is possible to fall from grace! How can we avoid it? The godly way of life is the way of give. As followers of Jesus Christ, we are admonished to abound in the grace of Christian giving. Many people claim to have received the grace of God. Many others pray to receive that grace. What does the Bible say about who really receives it and why? Propitiation is not a commonly used word today. In the Bible it is used in connection with Christ’s sacrifice for our sins. What does this word mean?